I have a trio of her novels acquired from the Book People: will probably start with them some time – I loved Carol, which I know is in a different vein. Yes, Carol is quite different from most of Highsmith’s other novels. Although having said that, it does touch on her familiar themes of desire and obsession, albeit in a different, less noirish context. I’ll be interested to hear how you get on. Which ones do you have? Oh, great. A Suspension of Mercy is very good. A little implausible towards the end, but that’s a fairly minor quibble in the scheme of things. I’ve heard that Little Tales of Misogyny is somewhat different to most of her other books – still very good, but more barbed and wicked. Great review, Jacqui, and what an excellent line to finish on. Thanks, Susan. I’m not sure this is for you, but it is very compelling! Highsmith really is very, very good. Yes, it feels like one of Highsmith’s darkest novels, certainly more twisted than Ripley or Deep Water which I read last year. What I like about her is the way she plays with your sympathies, upending conventional expectations of which characters are ‘bad’ and which are ‘good’. As you have quite correctly gleaned, all of these people are deeply flawed and damaged in different ways, and their coming together makes for a toxic mix. I really think you’d like this one. Great review as always Jacqui. Love that last line – “Highly recommended for lovers of dark and twisted fiction” – what a recommendation! Thanks, Karen. It seemed to sum it up pretty well. The plot sounds fantastic. It seems like it has just enough interesting turns to keep it interesting while not being sensationalist. The characters also sound compelling. I also like the idea of building nilhlism. Domestic Noir sounds like a neat genre. It’s definitely very compelling. Plus, you never quite know how things are going to turn out until you get to the very end. I think Highsmith was probably one of the original proponents of this type of domestic noir, the darkness that lurks behind the seemingly respectable house and picket fence. From what I’ve read, she seems to have been an influence on certain contemporary writers such as Gillian Flynn. Such a good review Jacqui. I’m a Highsmith fan but haven’t read this one – will add it to my list now for sure! Thank you! That’s really great to hear. If you’re a Highsmith fan, then I doubt you’ll be disappointed with this. It feels like one of her best novels for sure. Wow this does sound like a taut psychological thriller. I only began to read Highsmith last year but so enjoyed those that I’m looking forward to reading more. I have The Blunderer tbr which fits in my ACOB nicely so I will probably read it sometime before the end of the year. Oh, I’ll be interested to hear what you think of The Blunderer – not a Highsmith I’m familiar with, so it would be good to know more. How handy that it fits with your Century of Books project, that’s a nice bonus! I like the sound of these two books – I’ve not read any Highsmith to date. Have you ever come across The Collector by John Fowles – I think you might like it based on your musings here. Oddly enough, I’ve never read any Fowles, although I know the broad outline of The French Lieutenant’s Woman from the Meryl Streep film. Thanks for the tip, I’ll keep it in mind. I’ve read some Highsmith – A Suspension of Mercy and Those Who Walk Away – both great. I’m still reading the Maigrets at the moment though – I’ve just read the excellent Maigret’s First Case. There are times I feel I could easily read one a day! Oh, I really liked A Suspension of Mercy, even if the plot did get a little implausible towards the end, It’s the one with the crime writer, isn’t it? A very clever spin on some of Highsmith’s tried and trusted themes. A great review, Jacqui. This sounds wonderful, dark, and very twisty. Thanks, Caroline. I think you’d like this one. It’s definitely at the more twisted end of the spectrum, especially as the story edges closer to the denouement. The only Highsmith I have read are a few of the Ripley’s but this is very appealing. I think you’d like this, Cathy. It feels like your type of book. Excellent review, Jacqui. I am still yet to read Highsmith, though it’s an omission I hope to correct in the future. She seems to have an interesting insight into the darker, more twisted side of life as well as a neat sense of characterisation. No wonder her work has been turned to the movies with such effectiveness. That’s a good point about Highsmith’s books forming the basis of several successful film adaptations. I think the quality and subtlety of her insights into the psychological motivations of various characters play a big part in that. It probably won’t surprise you to hear that this one has been turned into a film as well, no less than three times! Oddly enough, I don’t think I’ve seen any of them, but that may well change in the future now that I’ve read the book. This DOES sound good. Like you, I enjoy the way Highsmith twists the reader’s sympathies, and she often makes us go against our own grains! Great review, Jacqui! I’m a huge fan of Patricia Highsmith too so I don’t need much persuasion to add another title to my wish list. This one sounds ace. Excellent! I think there’s every chance you’ll enjoy this, Sarah. It’s deliciously barbed and twisted. I wonder how it was received at the time of publication given its exploration of potentially taboo subjects such as depression/mental illness. 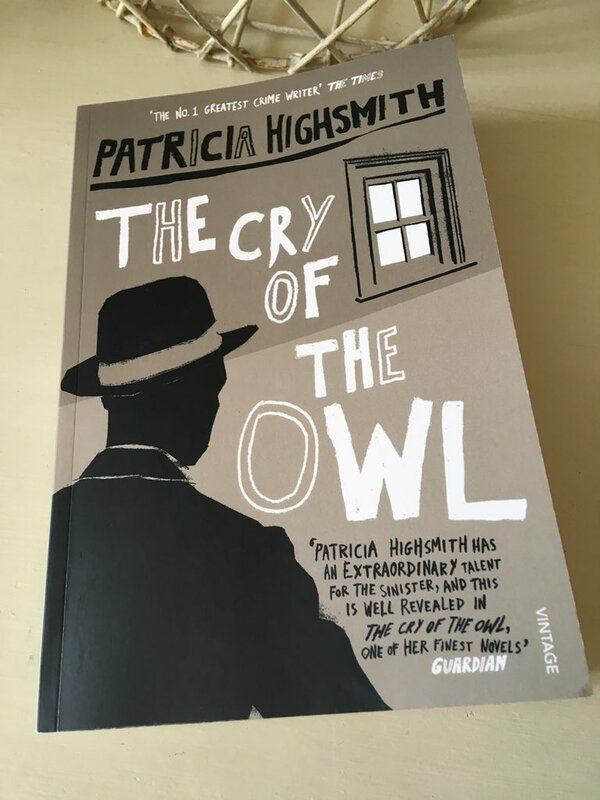 I can’t believe I’ve still to read any Patricia Highsmith, especially after your glowing reviews. I’ve liked some of the film adaptations, but that doesn’t really count, does it? Patricia Highsmith is a writer I keep meaning to get to. It’s so interesting with writers you haven’t read but you feel like you already understand their themes and styles because their work is so much a part of popular culture. At the same time, I’m aware these impressions could be false and once you actually read the book it can be so different from how you imagined it would be. That was definitely the case for me reading Mary Shelley and Wuthering Heights for the first time earlier this year. Anyway, I love how you describe it as moving from psychological thriller into more existential territory. Sounds like exactly my sort of thing! Yes! I completely agree. I had a similar experience when I finally got around to reading The Hound of the Baskervilles for the first time last year. It’s interesting how our impressions are informed by films, songs, videos and other cultural references, especially as they may not be entirely representative of the original book. Returning to the review, I think Highsmith is one of the great writers of her time, and her grasp of the psychological is particularly impressive. If you’d like to give her a go at some point, I would strongly recommend you try The Talented Mr Ripley. It’s a book that transcends the crime/thriller genre appealing to regular readers and non-readers of crime alike. I’m pretty sure Naomi (Frizbot) loved it when she read it, and you can’t get a more solid recommendation than that! I liked this one a lot. I just finished james Lasdun’s The Fall Guy which reminded me of Highsmith in some ways. You might like it. Yes, I saw your review of the Lasdun this morning. Highsmith didn’t cross my mind at the time, but now you mention it I can see where you’re going with that. Anything with a touch of Highsmith has got to be worth a look.